Lock in a great price for The Novelo – rated 9 by recent guests! It was a very nice and relaxing location, away from the crowds. It was less than a 10 minute walk, or 5 minute bike ride, to be anywhere you wanted to be. Amazing views of the sunrise from the private dock. I love the property, 8-10 bike ride. The bike are provided free. You can’t beat free, pool on site also. We liked that the apartment was spacious and roomy, and had a comfortable queen bed - as well as a twin to accommodate a larger party. The fridge came in handy for storing beers and foods. The pool as nice to lounge around by. While Abel was out and about most of the time we stayed, he's a great dude and super friendly - more than willing to help us out with any questions or concerns. 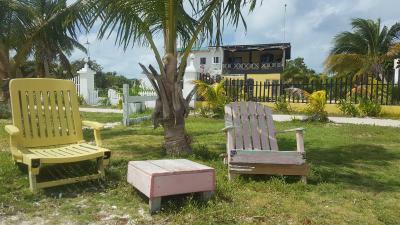 I liked this calm and beautiful place of Caye Caulker. We have the swiming pool and a beautiful view of the beach. Abel the owner is very friendly and helpful. Two lovely dogs. If you want to go out at night and you are alone maybe it is not the best place because is a bit far from the center and the way is completly dark. This is simplicity and tranquility. Nice to be out of town and have bicycles to use at no extra charge. The docks were lovely for sunrise. The owner is highly accommodating. I enjoyed learning more about the island as we shared conversations over a local beer. I recommend Bilikan Stout! This is super simple and right for the price. Definitely request room on the east side - with lots more windows than the one on the west. There are dogs on the property, so expect some barking, but it never lasted long. The pool is a great addition. We had loads of space in the apartment, and the bed was comfortable. The pool is clean, but the 2 uncomfortable chairs is not acceptable. Abel is an amazing host. Kind and thoughtful. Bike are free and perfect to enjoy the island. The place is quite and the dock is the spot to enjoy the see, swim, lay on the sun and watch the stars. It feels like you're alone. Perfect spot !!! Go for it !!! We thoroughly enjoyed our stay at the Novelo. It was quiet, safe, and laid back, as the property is on the south side of the island. Abiel was the best host ever! Located in Caye Caulker, The Novelo has a private beach area, garden, terrace, and free WiFi. All rooms are equipped with a patio with views of the sea. 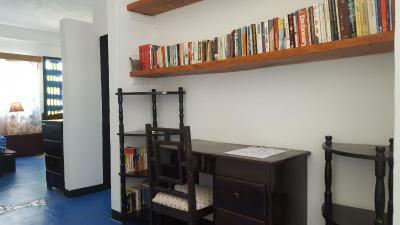 At the guesthouse, each room includes a desk. All rooms have a coffee machine, while certain rooms are equipped with a kitchenette with a fridge. All guest rooms include a seating area. 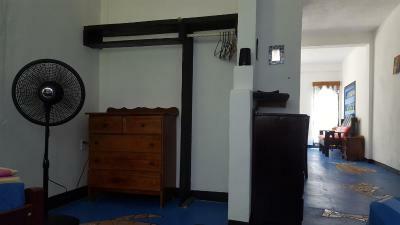 This property is also rated for the best value in Caye Caulker! Guests are getting more for their money when compared to other properties in this city. When would you like to stay at The Novelo? 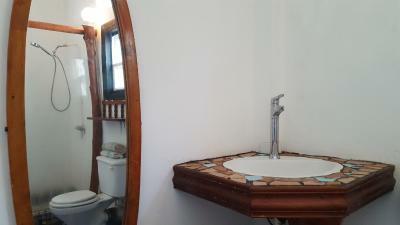 This triple room has a kitchenware, sofa and private entrance. 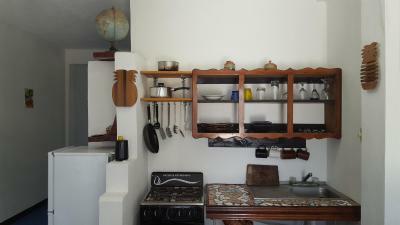 This double room features a kitchenware, kitchenette and dining area. House Rules The Novelo takes special requests – add in the next step! Really nice and helpful owner. Abel was a wonderful host and was very helpful- even driving us to the harbour on our last day. The room was spacious and clean and the bed comfortable. The location was quiet (it's outside the village) and peaceful and I loved sitting out on the jettys. The owner was incredibly helpful and bikes were available to get around on. Would highly recommended staying here. The location, not to close or to far from town. Location - easily accessible but tucked away so it's quiet. The property - clean and so comfy. I particularly liked the layout, there is so much space. There is a private kitchen, a sun deck and a swimming pool. Abel is friendly and so helpful. I loved staying here, so much better than the big resorts. Abel was a fantastic host! He paid for out taxi to the hotel, he had bikes we could use for free, he was really friendly and helpful, and he made sure he gave us a ride back to the ferry. The room was beautiful, spacious, had a kitchen which was great, and was just a short bike ride away from everything. And it was nice to have the pool. We highly recommend the Novell, and will definitely be back! Thank you Abel! We didn't know that being only a 10 minute bike ride from town would end up being just a bit too far for comfort for us. Of course, that is our fault - if you want peace and privacy, this is a GREAT spot! affordable and comfoy! Everything, the Novelo is amazing: great location, great host and brilliant space. The room is really large and has a comfy bed and a great shower. It's 5 minutes cycle to the village and free bikes are provided. Abel the owner is very helpful and very accommodating. He paid for our golf cart taxi when we arrived and dropped us back at the water taxi station when we left. Intermittent hot water but still did the trick. Dogs bark often during the night. Good value. Abel provides bikes to get to and from town. Nice pool. Location was great for us as we are birders and didn't want to be in the town. Our room was a really nice little apartment with kitchen so we could prepare our own meals. The pool was nice. The place is not up to standards.. it’s old, far away from the town, there is no beach and no place to hang out. We were very disappointed after reading all the positive comments that are simply not true. The owner, a nice man, has two beautiful German shepherds, we love the dogs, but we did not like when they barked at night and in the morning and keept is awake. Anyway, $60 per night was not a bargain. We do travel a lot, and we were upset that the reviews were so misleading (trust me, we are NOT complainers otherwise), and we are really sorry that we had to give the negative review. Rubish and unplesant odor on the way to accomodation.